A strong and vibrant infrastructure needs a solid and firm foundation to stand on, which can be provided and ensured by a sound and dynamic system of education alone. One can surely assume that a good educational setup is truly the foundation of a successful and prosperous nation and the quality and excellence of any such educational programme rests squarely and exclusively on the foundation of its early childhood education system for the age groups 2 1/2 -6 yrs which in our country, needs special attention and planning designed and programmed pre schools. The age group 2 1/2 - 6 yrs is, by far, the most significant period of a child's life when a vital foundation for its better future can be laid firmly. Good habits/manners learnt and picked up during this crucial period have a lasting impact on the child's life. 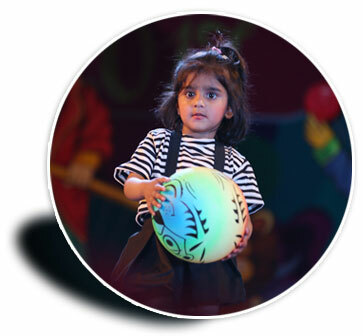 The child develops its own personality and behavior-pattern through wiling and spontaneous interaction at play with other children of his/her own age group. Thus, pre-school education during this period can help a lot in the growth and learning of the child. It can fulfill the developmental needs (physical, emotional, social and psychological) of the child, to a great extent. The Grammar School, in this context is an humble effort of selfless dedication to the Early childhood education programmes, established by a voluntary registered organization consisting of eminent educationists and scholars. That's our wish for you. Give joy and happiness to you. We LOVE TGS! The teachers and staff have all been wonderful and our son is thriving there. Really enjoy the structured program and academics especially the cultural activities. My son loves to go to school and has learned so much in such a short time. Please consider opening a day creche ,there is a big need for quality creche care in the area. 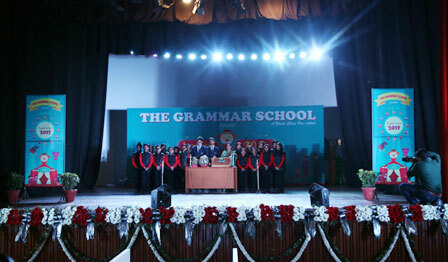 The Grammar School is just like a family to us. We have been connected with the school since last 12 years and it has been a great journey for us and both our daughters. The school is an embodiment of love, compassion and care for the kids. The only thing that has brought us back even the THIRD time is the staff and the administration. The positive energy in the school is a boost for the kids physical and mental development and it gives a lot of assurance to us as parents which provides complete peace of mind. 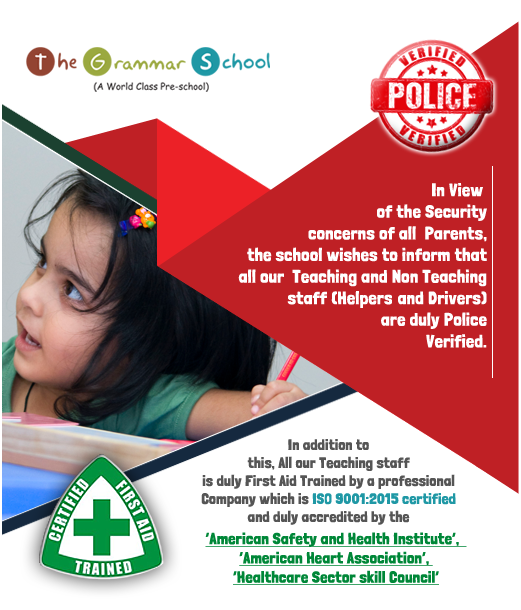 We would like to extend our warm regards and thanks to The Grammar School for providing a healthy and safe environment to our kids. We are so pleased with everything that this wonderful preschool has to offer my child and our family as a whole. My child has learned so much since he started last year, and has grown an attachment to his preschool teachers. I am so glad that we have found such a great school for our child to attend, and everyone, including the Director, Priti ,Juhi and the entire staff, have all been super welcoming, and helpful from the very beginning. Thank you!